To access the dispute process, sign in to Online Banking. How can I find out the status of my credit card application? How can I check my credit card account balance? How can I spend or redeem my credit card rewards? How can I learn about fees? What actions can I take to prevent fraud from occurring on my accounts? How do I submit a credit card dispute? Where can I get assistance with overwhelming credit card debt? 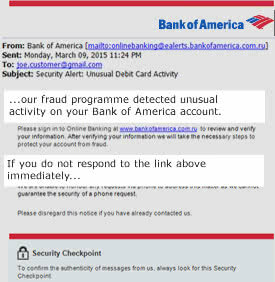 If you applied for a Bank of America credit card online, you can check the status of your application online. You can also check the status by calling us at 866.422.8089. How can I check my credit card account balance? How can I spend or redeem my credit card rewards? You may redeem your credit card rewards online or by phone. To check your credit card rewards balance and cash in or redeem your credit card rewards online, sign in to Online Banking and select your credit card then select the Rewards & Deals tab. To redeem your credit card rewards by phone, call 800.434.8313 and select option 2 (Mon–Fri 9 a.m.-9 p.m. ET). How can I learn about fees? To learn more about fees associated with your credit card account, sign in to Online Banking and select the link to your card account, then select the Information & Services tab where you’ll find a section entitled Fee information. You can also review our FAQs about fees or the credit card agreement you received when you opened your account. What actions can I take to prevent fraud from occurring on my accounts? Our fraud prevention checklist includes a number of steps you can take to help prevent fraud. Working together, we can make the strongest possible defense against fraudulent activity. How do I submit a credit card dispute? Before initiating a claim, consider calling the merchant first, as they may resolve your claim faster (we may also require information from the merchant to process a claim, so contacting them directly may save you time). Additionally, please note that only posted transactions can be disputed (pending charges are temporary and may change), so if you have any immediate concerns about a pending charge, you may want to contact the merchant. You can typically find the merchant’s contact information on your receipt or billing statement. Online Banking customers can submit most credit card disputes directly from the transaction detail found in the Activity tab on your credit card account page, or from the Dispute a transaction link on the Information & Services tab. TTo access the credit card dispute process, sign in to Online Banking. Timely notification is important. Most transactions must be disputed within 60 days of the date of your statement on which the error appeared. If you did not provide your account information to the merchant in question and suspect that your information was stolen, please contact us immediately. Where can I get assistance with overwhelming credit card debt?